Preparation: Muddle the hulled strawberry and 2 thyme sprigs in a mixing glass. Combine the rye whiskey, sambuca, demerara syrup and lime juice in the mixing glass and shake in an ice-filled cocktail shaker. Strain into an ice-filled Collins glass, top with club soda and garnish with a strawberry or thyme sprig, or both. This is a recipe from Danny Valdez of Cure in New Orleans. Preparation: Combine ingredients in an ice filled mixing glass. Shake for 10 seconds. Strain into a cocktail glass with a sugar-crusted rim. Personally, I didn’t like this recipe quite as much as it was a little bit too boozy and did not have enough acidity from the lemon juice. The addition of the maraschino liqueur and increased quantity of lemon juice in Paul McGee’s version is more balanced in my opinion. Preparation: Combine the ingredients in a mixing glass. Shake with ice for 10 seconds. Strain into a coupe glass. Garnish with a spritz of Angostura Bitters over the top. 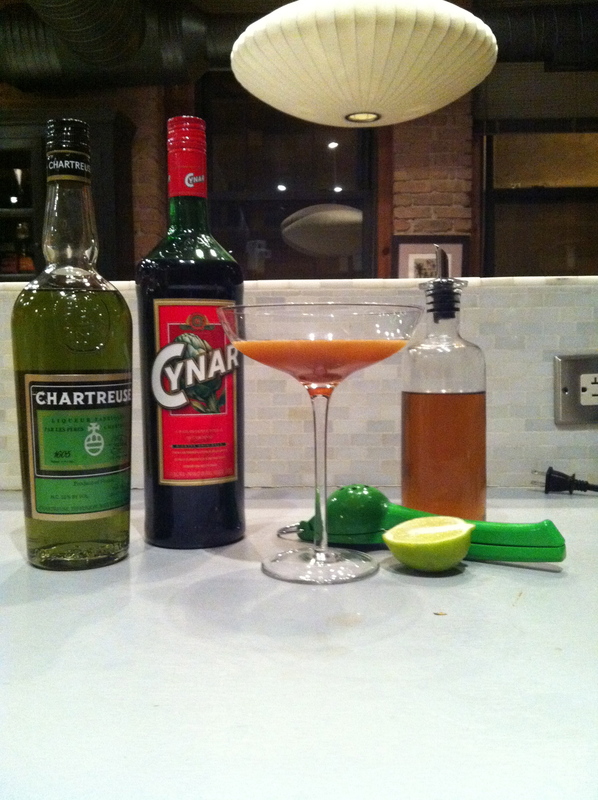 While researching the Art of Choke, I came across this recipe online at a blog called cocktailvirgin.blogsopt.com. It is attributed to Mike Yusko of Cure in New Orleans. Given all of the bitter components it is surprisingly citrusy and refreshing. Preparation: Combine ingredients into a mixing glass. Add 2 sprigs of mint and gently muddle. Let sit for 1 minute. Stir with ice for 20 seconds. Strain into an ice filled rocks glass. Garnish with a mint sprig. 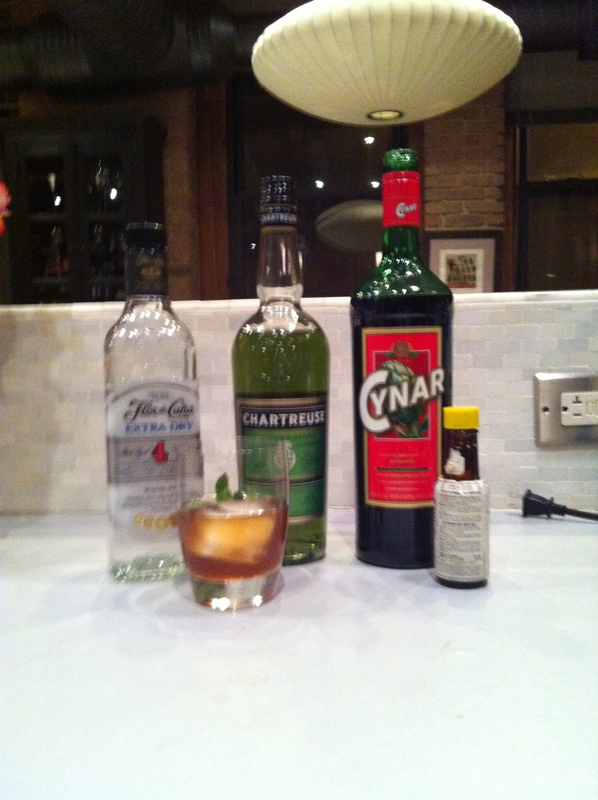 This is a recipe attributed to Kyle Davidson of The Violet Hour in Chicago. Preparation: Combine ingredients in an ice-filled mixing glass. Stir 20 seconds. Strain into a double old-fashioned glass. This recipe is from the Cocktails 101 booklet from Paul McGee, owner of The Whistler in Chicago.